Ann was an original player with the McLean Grasshoppers team that competed in the inaugural season of WAGSL and went on to win 10 consecutive tournaments, including the Robbie, WAGS, and the Gothia Cup, in which she was named the tournament MVP. She was a three-year captain, MVP, and ALL-Met player in high school, where she was named the school’s Outstanding Female Athlete. As the University of Virginia had no varsity soccer team, Ann accepted a field hockey scholarship. She was selected to the first US Women’s National Soccer Team in 1984 and represented the country in the first international competitions in 1985 and 1986. As an adult, she won national championships in the 1986 Open Cup, three Over 30 Cups, and the 2006 Over 40 Cup. 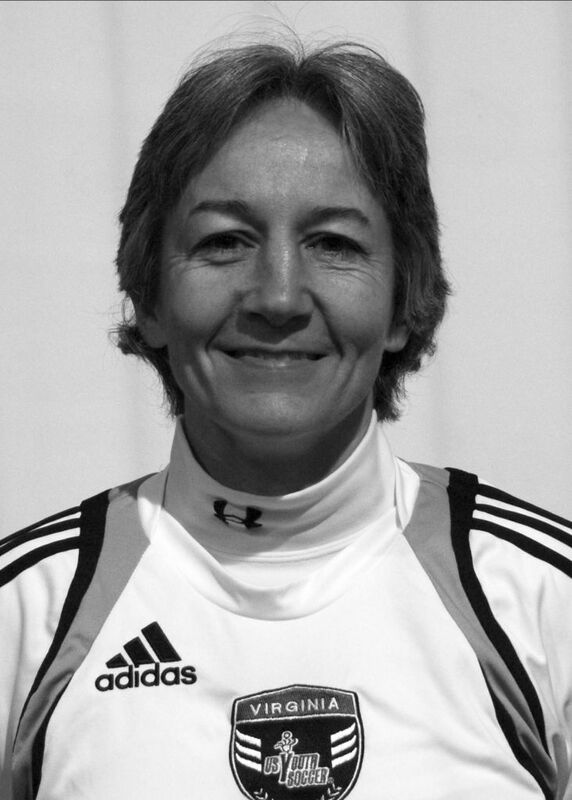 Ann has coached in WAGS for more than 25 years and is a member of the VYSA ODP and Academy coaching staffs.